Enjoy 5 exceptional days out with our promotional PLATINUM Package. 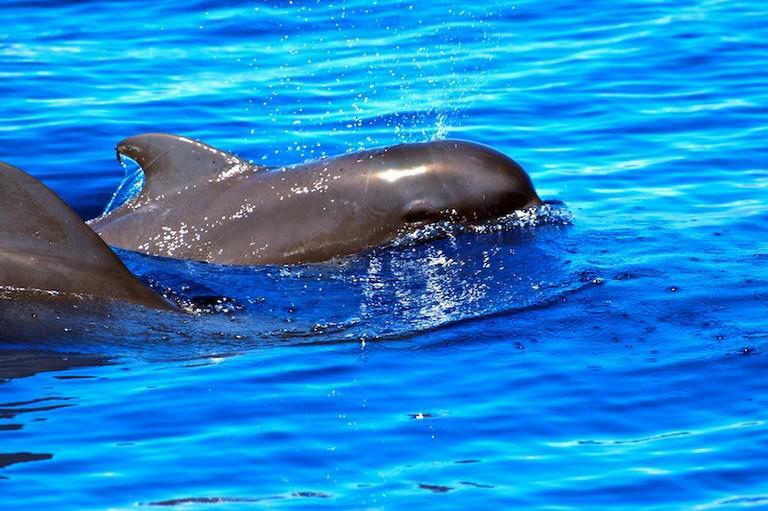 Buy the sightseeing Tour Magic Circle Tenerife, Whales & Dolphins Watching Sea Tour, Loro Parque Tour and entrance tickets for a full day of joy in Siam Park and also visit beautiful island of La Gomera, another island in Canary Islands Archipelago. If you buy these tickets separately, it will cost you at least 227.50€ per person. 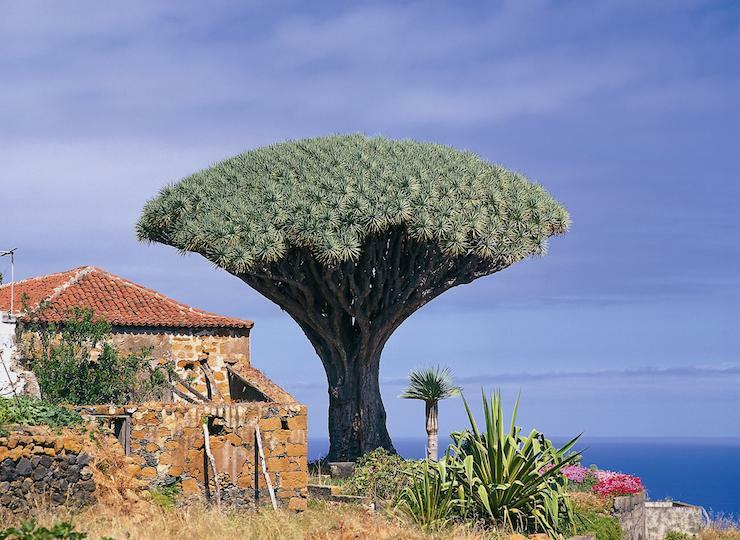 With our Gold Package you will save 29€ per person and will visit the most important natural attractions of Tenerife like Mount Teide, the Volcano, first capital Garachico and pirate village Masca , as well as the famous Loro Parque, that will amaze you with all the wonders of the natural world. 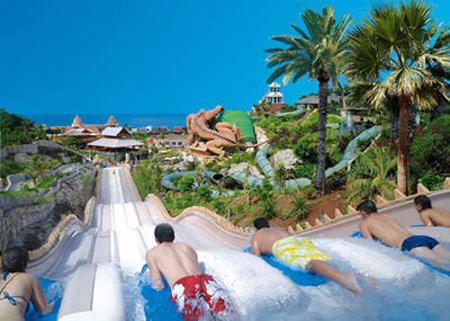 Moreover, in 3 hours long sea trip you will observe very close to you whales and dolphins and one of the days of your holiday you will spend in Siam Park, which’s the biggest water park in Europe and one of the best in whole the world. 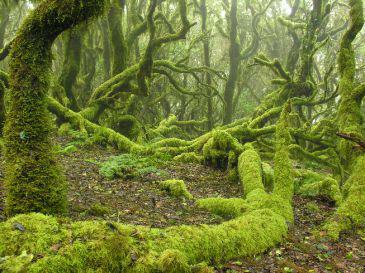 And even more, you will spend a day on another island of Canary Islands Archipelago, taking a full day tour by coach and ferry to the beatiful island of La Gomera. At the time, when our representative will be issuing your tickets, she or he will provide you with all the details and information about the Pick Up points, etc. in English: Tuesday, Thursday, Sunday. in Spanish: Tuesday, Thursday, Sunday. in German: Tuesday, Thursday, Sunday. in French: Tuesday, Thursday, Sunday. +9€ – per child 2-11 years old). 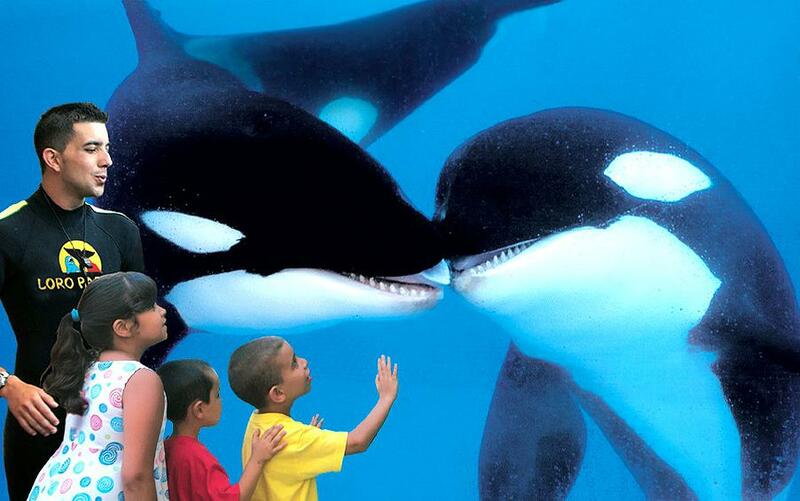 LORO PARQUE Tour starts daily at approx. 8:30 AM and will be back to your hotel at about 6:30 PM (depend on Pick Up point). There’ll be a guide in the Express-Bus, which speak at least English and 2-3 other languages. in English: Monday, Tuesday, Wednesday, Thursday, Friday. in Spanish: Monday, Tuesday, Wednesday, Thursday, Friday. in German: Monday, Tuesday, Wednesday, Thursday, Friday. in French: Monday, Tuesday, Wednesday, Thursday, Friday. 36€ – per child 2-11 years old). 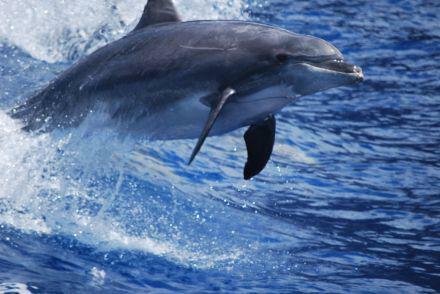 WHALES & DOLPHINS WATCHING Sea Tour starts at different time every day and will take you at least 3 hours. Exact Times and Dates will be pointed in your Tickets, delivered for you to your hotel by our representative. We will send you Ticket Nr by e-mail within 24 hours with specified amount of required booking Deposit. In the received Booking Confirmation you will have specified Date and Time of the Tickets Delivery right to your hotel in Tenerife. The tour is payable on the Tickets Delivery. The Booking Confirmation without our paper Ticket is not valid. We deliver your tickets Free-of-Charge. On the specified date and time our representative will wait you by your hotel’s reception and will pass you the tickets, charge payment and will answer all your possible questions. 109.50€ – child 6-11 y. 69.50€ – child 2-5 y.
free – for a child 0-1 y. The price include tours and entry ticket with access to all the atractions of Lor Parque. 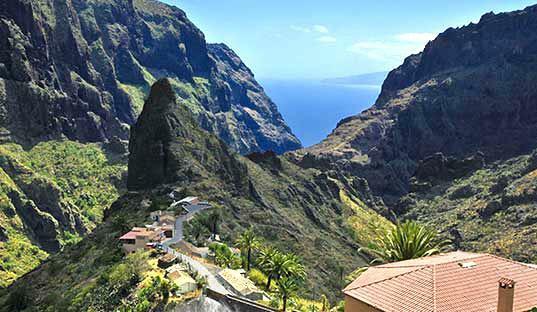 * If your hotel is located in zone Los Gigantes – Playa Paraiso, then +9 EUR to the price (except children 0-1 year). Usually in 1-10 minutes walk from your hotel. You will get the Pick Up Point information in our Booking Confirmation. You can call us or use WhatsApp for free text messaging. Be safe and feel comfortable with our support during your stay in Tenerife.